Few things are as magical as a new tutu. But what goes into the creation of this iconic ballet costume? We followed a National Ballet of Canada Swan Lake tutu—made for first soloist Emma Hawes'debut as Odette/Odile—from sketch to stage. 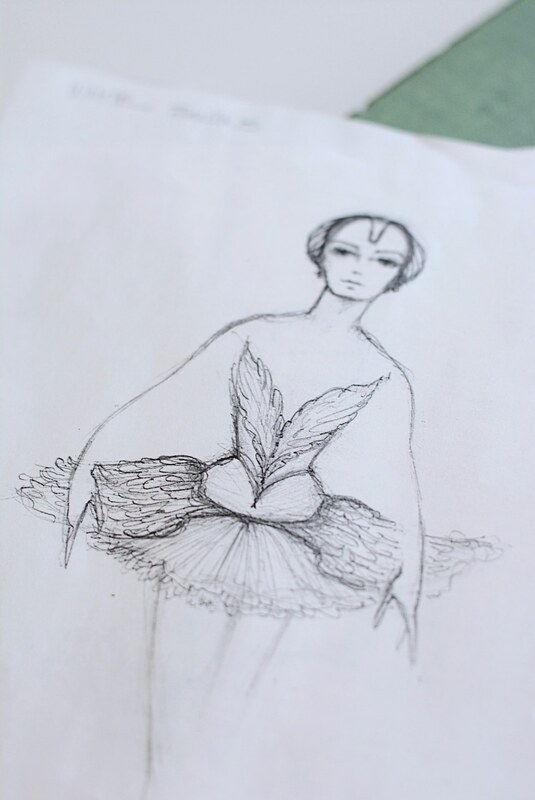 Designer Santo Loquasto's sketch for Odette's Act II costume. In The National Ballet's Swan Lake, choreographed by James Kudelka in 1999, "Odette is much more powerful than she is frail," Hawes says. "The large size of the tutu reflects the role, and the way he wanted it to be danced." "One of the special things about this tutu is all the handmade fabric feathers on the plate and bodice," says wardrobe supervisor Marjory Fielding. 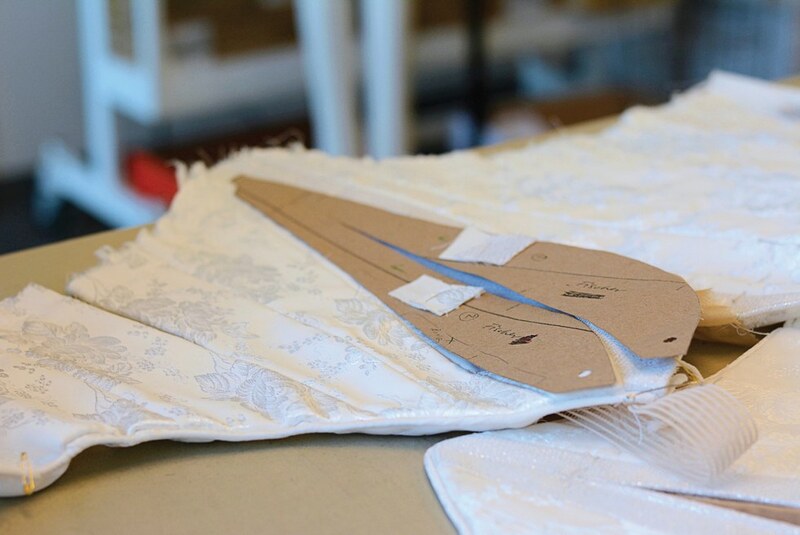 "For the corps and principal tutus, we needed a total of 7,800 feathers! Back when the production first premiered, we had a volunteer day when people came in to help cut them out, and each volunteer signed his or her feathers." A close-up shot of the tutu's bodice. "The cut of the top is beautiful," Hawes says. "It has a big 'V' dip, and it looks wild in a way, very much like real feathers and real wings." A look at the intricate detailing of the skirt. "When you make a tutu, you're sculpting with fabric," Fielding says. "This tutu had 18 layers to sculpt, from the bigger top layers to the tiny ones, maybe half an inch wide, that go around the leg." Hawes getting hooked into her tutu. "That moment of putting your tutu on is a little bit sacred," she says. "Suddenly it's all very real. You're becoming this character. It's happening." "The wardrobe staff is amazing—so in-tune with our needs when it comes to fit," Hawes says. "A tutu is really an odd thing to wear, even if you're doing ballet. It's a very specific look, so the fit has to be just so." 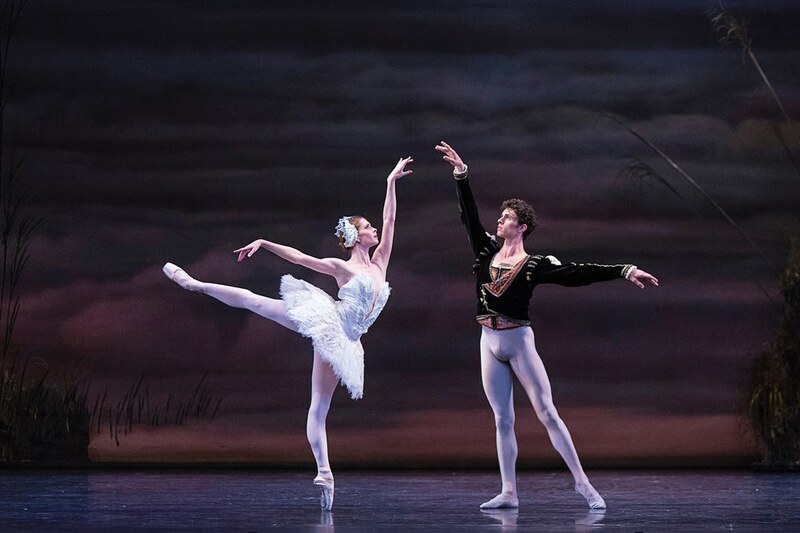 Hawes onstage in her new tutu, with corps member Christopher Gerty as Prince Siegfried. "Making a new tutu for a dancer having a debut, that's always a treat," Fielding says. "Being the first to wear a tutu the first time you do a role—it's a very special moment. A version of this story appeared in the November 2017 issue of Dance Spirit with the title "A Tutu Is Born."